Doncaster Chamber welcomes high level expertise to benefit business members, partners, skills and education providers, and the local economy. Two senior directors have joined Doncaster Chamber to drive the development of its award-winning support for business and education across the borough. Stefan Rodgers and Andy Hibbitt will use their commercial expertise to enable the not for profit organisation to provide it’s 700+ members and partners with the services they need to grow and succeed. Stefan Rodgers, in his role as Commercial Director, will help the Chamber to become the best in the UK by providing support to its members to grow their own businesses. He will use his 11 years of experience at Board level in Sales, Marketing and Commercial roles, to help create mutually beneficial relationships through collaboration with stakeholders across Doncaster to improve jobs, education and people’s lives. Andy Hibbitt joins the team as Education and Skills Director to lead on the Chamber’s Doncaster Skills Academy (DSA) and related activities that bring together business and education. He brings with him a decade of experience within the education sector, having previously held senior positions in both a private training provider and large awarding organisation. Andy will grow DSA’s current portfolio to bridge the skills gap across the borough by connecting the skills needed by local employers with those of young people leaving the school system. 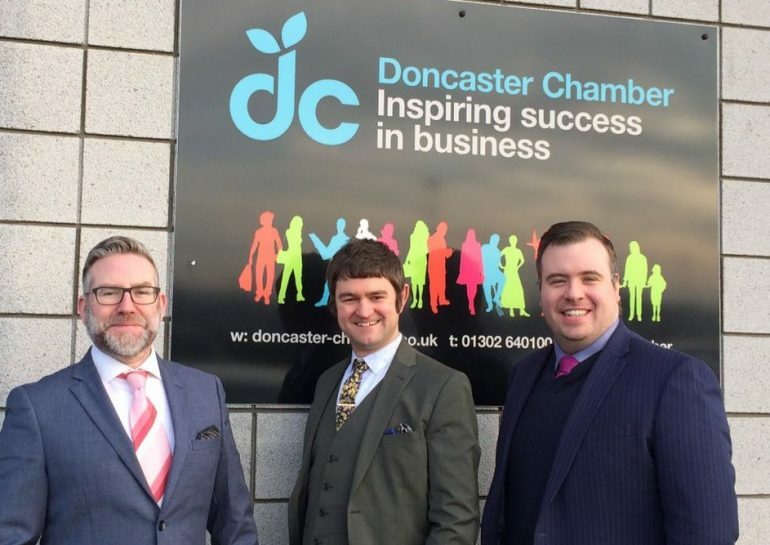 Says Dan Fell, CEO of Doncaster Chamber: “The two new directors already have big ideas for developing the Chamber’s business support activities and Doncaster Skills Academy and to continue to be known as a Chamber that gets things done on behalf of members and the borough. Over the coming months, Stefan and Andy look forward to introducing themselves and starting to work with Chamber members and key stakeholders across the borough. Doncaster Chamber works to support local businesses of all sizes and sectors with their business growth and to help prepare their future workforce to become career ready.